A few months ago we received a call from a business seeking a marketing firm to redesign its e-commerce website. The call was transferred to me, and within a couple of minutes, the gentleman on the other line said, “We are 80 percent sure we will be doing business with your firm.” Wow! I was a little taken aback by what the prospective customer said. I mean I didn’t even get a chance to give my killer elevator pitch or list the reasons why they should choose us. As the conversation unfolded, I discovered the prospective customer not only found our website, but also read a few of our blog posts and downloaded one of our e-books on redesigning a website. He even dug deeper and found four of our current clients and called them. All this took place before he picked up the phone to call us. It is more evident than ever before that the consumer is in total control of the buying process. Whether we like it or not, our prospect customers will chose a business based on what they read about us and our competitors on the internet. It is very important for every business to have a well-defined marketing plan to ensure your brand is represented well online. In short, a buyer persona is your ideal customer. This is more than just basic demographics like “women ages 21-35 who live in the South.” A buyer persona requires extensive research, customer interviews and analysis to fully understand everything you possibly can about your ideal customer. Develop content targeted at that customer – content that addresses his or her unique needs, pain points and interests. Spot trends among existing and potential consumers, giving you the knowledge to develop content, products or services that fit with those trends. More easily create a content calendar, email campaigns and overall inbound marketing plan. You’re armed with targeted information to make your efforts more effective. Capturing prospective customers’ email addresses is critical. This means they are interested in what you have to offer, find your content valuable and are willing to hear from you on a regular basis. 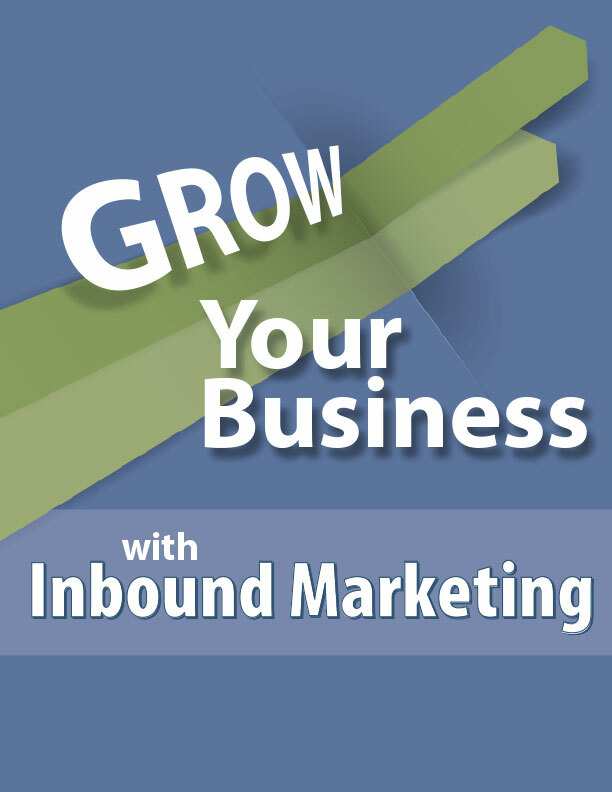 Growing your email list should certainly be a key component of your inbound marketing plan. Start by segmenting your email list. Research shows open rates increase when you segment your subscribers. This means sending a certain group of subscribers’ messages they are most likely to open and act on. Remember those buyer personas? Review those as they relate to email segmentation and create a marketing strategy so you’re emailing subscribers information that speaks to them. It’s not uncommon for people to hand over their email address to access an e-book, coupon or other special offer and then promptly unsubscribe. Those subscribers found value in what you had to offer – enough that they were willing to part with their email address. So how can you continue to demonstrate your value? It all goes back to creating that targeted, quality content. And while we’re on the subject of content, use your killer content to generate new email subscribers. Create e-books, white papers or webinars that people only can access by providing an email address. Make sure you’ve created truly niche, useful material that people will be eager to access and share. As marketers we know video is powerful, but few marketers are using video to its full potential. Now is the time to embrace video (thank you, Facebook Live). 100 million hours of video are watched every day on Facebook. You may have a blog on your website, but is there a strategy behind it? Gone are the days of “just writing a blog post.” For your efforts to be useful, you need to put some thought behind your blog and overall content marketing plan. Taking the time to create a content calendar or editorial plan will help you focus on creating the kind of content that’s most appealing to your existing and potential customers. (Back we go the buyers persona!) Giving customers exactly what they need will help move them along that path from attraction to conversion. By developing a content strategy, it ensures you and your entire team are on the same page. You want everyone sharing the same message. It’s impossible to maintain any kind of brand or image consistency without an overall strategy. Lastly, you can maximize your time and stay focused on what’s important when you have a strategy to follow. When new ideas come up, you can review them based on whether they fit within the overall marketing plan. If they don’t, then there’s no need to waste your time. When it comes time to promote the amazing content you’ve created (thanks to your buyer personas and content strategy), go where the people are. And, these days, that means social media. Your potential customers are using at least one – and probably multiple – social networks. Be strategic and figure out which social networks are best suited for your business. Then commit to sharing your content in those channels. Similar to creating a content strategy, you’ll want to create a strategy for social media marketing as well. Think about your goals and how you plan to measure your success (likes, reach, comments, sales). Part of your strategy needs to include engagement. So many companies get caught up in posting their content, they completely miss out on the engagement factor. Respond to comments on Facebook, interact with people on Twitter or connect with like-minded people in LinkedIn groups. Whatever social network you’re using, make sure you don’t miss out on the social piece. If you’ve been thinking about how to improve your inbound marketing plan, there’s no time like the present. Decide in 2017 to create a well-researched, carefully-crafted strategy that will have customers calling and ready to do business with you.